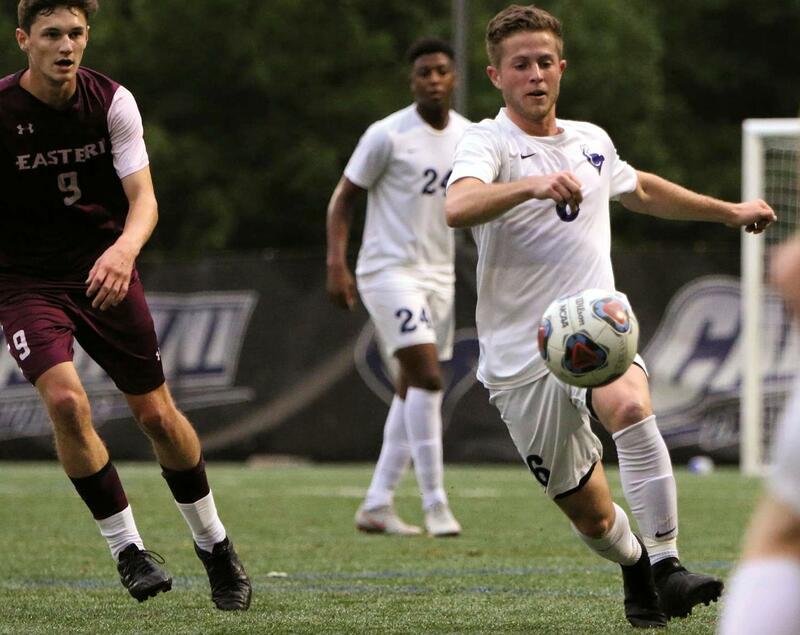 Christopher Araujo and his Cabrini University Men's Soccer teammates extended its win streak to four matches with a dramatic 2-1 victory over Hampden-Sydney College in Langley, VA. Junior Araujo scored the game-winning goal in the 87th minute of action, improving the Cavaliers to 6-5-1 on the year. The goal marked the third straight match in which the Blue and White has scored the game-winning goal in the final five minutes of play. Sophomore James Pettus put Cabrini on the board in the 37th minute with an unassisted goal, his second goal of the season. Cabrini carried its slim lead into the halftime break after outshooting the Tigers 7-6 in the opening 45 minutes. Hampden-Sydney turned up its offensive pressure in the second stanza, recording four of its 13 second half shots in the opening five minutes of the period. Hampden-Sydney’s pressure paid dividends in the 58th minute, when Spell Carr found Eli Strong on a corner kick to even the score at 1-1. Hampden-Sydney continued to test the Blue and White defense over the next seven minutes, but Cabrini's sophomore goaltender Anthony Zampirri was up to the task, notching four of his seven saves during those seven minutes. Just as both teams appeared to be heading to overtime, before Araujo's 87th minute blast inside the right post put the Cavaliers ahead for good, as they held Hampden-Sydney without a shot over the game's final three minutes. Freshman Nick Booth accounted for three of Cabrini's 13 shots in the win, while seniors Sal Zampirri Jr. and Jared Irwin joined Araujo with two shots each. Strong and Josh McCormack recorded five shots each for Hampden-Sydney (5-5-1), while goaltender Gray Sutter notched four saves.